… my son, who is perfectly suited to be between my two girls. … landlocked Kentucky, where I’ve lived my whole life. It’s not the geographic center of the USA, but it’s there in the middle of two oceans. … the half time of a basketball game. … the best part of a sandwich. … the best part of a batch of brownies. … where characters are developed and action happens in books & movies. … where messes are made in the middle of living and doing and making and cooking and playing and creating. … where the conversations happen after the hello and before the see you later. The idea that the joy can be found on the journey is true because most of our time is spent in the middle, between the beginning and the end, between the mess and the perfection, between here and there. The middle is the process, where we make decisions, surrender our stubborn ways, and take leaps of faith. Sometimes the middle seems mundane. I don’t always want to expend the time and energy to empty a sink full of dirty dishes or help the laundry find its way from the dirty piles to being clean in people’s drawers once again. I don’t always wait to wait on spring or for that much-anticipated email to arrive. But waiting comes in the middle, and it’s not wasted time. In the middle, we learn and grow and experience. It’s in the middle where we serve and love. 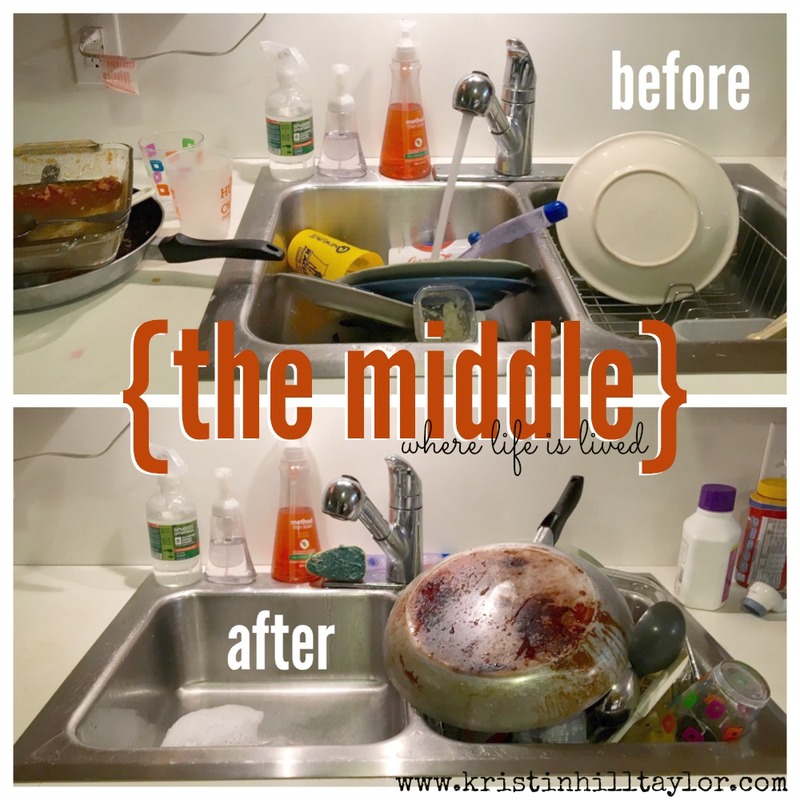 Find all the details about the Meet Me in the Middle Project here or reference Britta Lafont’s guest post from last week. #ThreeWordWednesday friends, I’d love for you join in Meet Me in the Middle by linking up there and here, but the weekly #ThreeWordWednesday link up is open as usual even if you’re not participating in this Lenten project. I’m always so glad y’all are here.